Learn how buyers rank individual coating brands in these categories: familiarity, customer service, performance, cost, availability, ease of use. See the number of times brands were specified in 2017 by an owner, as reported by Paint BidTracker. Compare competing brand rankings in these categories: all industrial projects, steel, concrete, bridges, water tanks, water & wastewater, locks & dams, marine, power, rail. This report comes in five modules to fit your needs. The Full Report includes both the Brand Data Study and the Brand Specification Rankings. 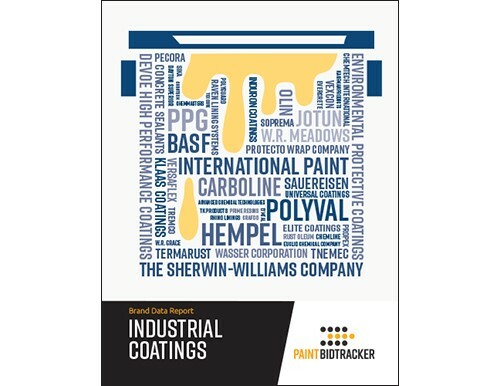 *Information was obtained from Paint BidTracker data and from interviews with 200 coating material buyers.